Exit Palm Dr. Then go left (north) Left on Hacienda Ave.
Then right on E Arroyo DR.
A fun skatepark with a big flow/snakerun area that is BMX oriented but very fun to skate. One of the big drawbacks to the design of the skate park is the planters within the park have lots of rocks that spread on the concrete and can hang up your wheels. 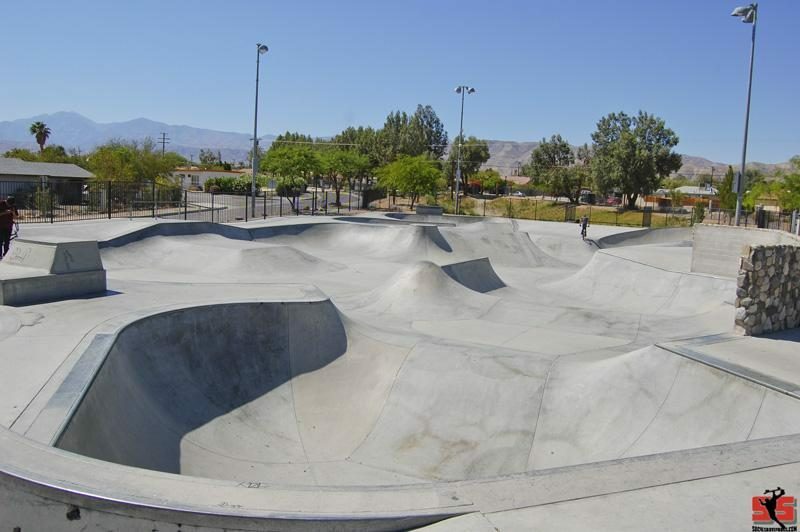 But for the most part this park is worth checking out, just be shure to hit it in the evening of the summer months or in the winter because the desert heat is a scorcher!